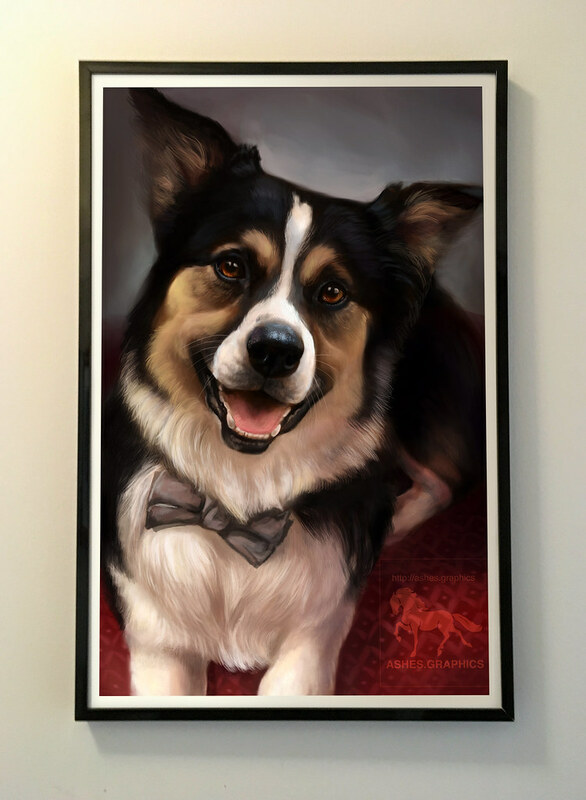 This listing is a speed digital painting of your pet. 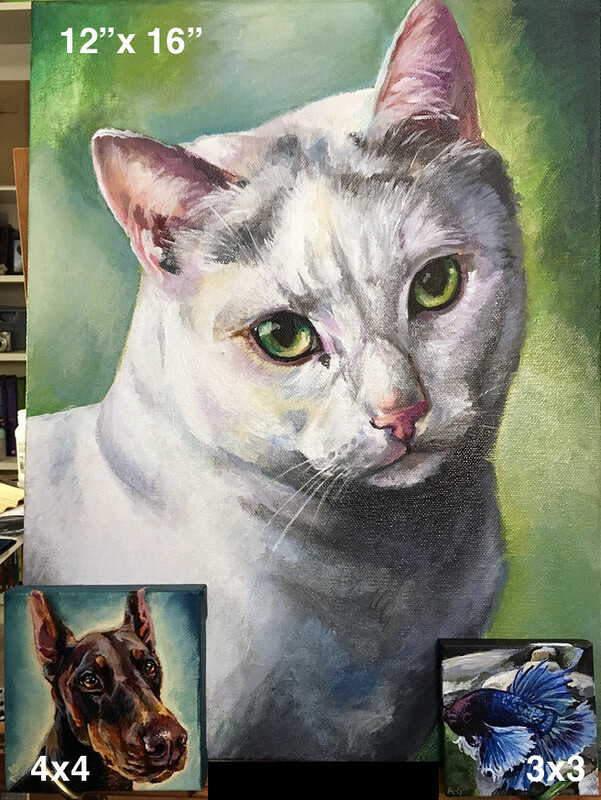 Please note, this is not a hyper-detailed portrait: See the listing for Hyperrealistic Pet Portrait if you are looking for a framed work. 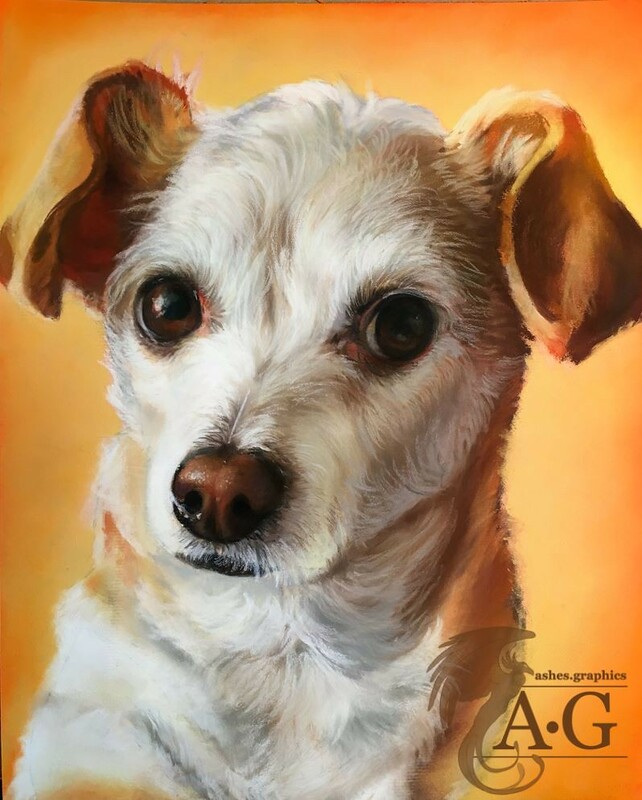 Your commission work will include one custom speed painting of your pet. Please note, this is not the same as the hyperrealistic Pet Portrait listing. These commissions have an exact time limit of one hour: once the hour is finished, you will receive your portrait as-is, even if it is not perfectly finished. In comparison, a finished pet portrait will be completely drawn and you will have feedback on it throughout the process. Rather than the hour time limit associated with this type of drawing, your drawing in a finished portrait will take between 50-60 drawing hours to complete. If you are looking for a polished, ready-to-hang gallery portrait of your pet, please see that listing. You will receive a rough painted portrait in any size preference you like. Default canvas size for this portrait is 12″x12″, but you can specify a larger canvas for a small fee. Browse the gallery of this listing for examples of quick paintings that I’ve done before; they’re not full drawings, and there may be unfinished areas on your drawing where the sketch shows through. If you do not have a specific clear photo that you would like me to focus on, it is best if you can send me a few clear photos and I can tell you which are helpful or would look best. This portrait will take approximately 4-12 business days, depending on my workload. Full portrait commissions take priority over rough paintings, so you may be asked to wait a few days after you order to have it completed. Please send me pictures of your pet and any ideas you have for the bust portrait. Choose one that I can focus on or send several and I can tell you which I can use. You may then message me to begin the process. Together we will discuss the details, and once we agree on what you’d like, I will ask you to purchase this listing. Due to the lower price of this portrait, I ask for the price in full up front. Once the portrait is complete, I will set up a custom listing for you with the downloadable file.